When in doubt ….. Wear Denim! Denim is without a doubt the most timeless fabric to have in your wardrobe that suits everyone and is unbelievably versatile! It is such an easy fabric to wear and if you have the essentials in your wardrobe, you will always have something to wear!! When I’m working with clients, I arm them with a capsule wardrobe list for the to build over time! 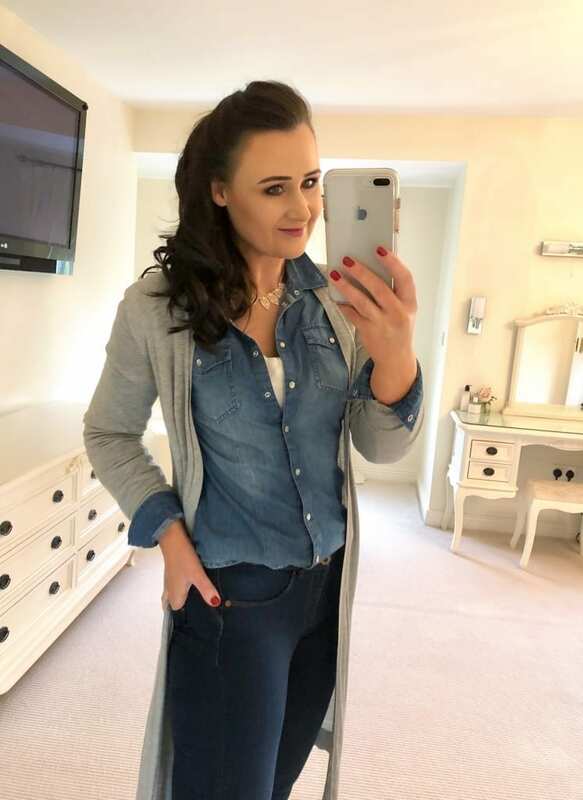 And the 4 Denim must haves on my Gails Rails Capsule Wardrobe List are good jeans suited to you body shape, a denim jacket, a denim shirt and a simple soft denim dress! They really are fantastic items to have in your wardrobe and are multi seasonal, but just because it’s traditional and safe, doesn’t mean it’s boring! Get creative with it! I’ve put together some cool ways I wear my denim items and also the best places to purchase these items. The most versatile piece in my wardrobe!! Worn open with leggings, runners and a white t-shirt for a more lounging around days but can be easily dressed up as seen in the photo! I love wearing a maxi skirt with a cami top and a denim shirt over it! But I tie a knot in the front of the shirt for a cooler street style look! It’s also a great way of concealing a tummy as the rooshed knot draws the eye in and hides a multitude! Denim on denim is also a very cool look! I wear a darker indigo wash colour denim jeans with my lighter shade denim shirt! I feel it works better without having that clashed look that can be a fashion fail and can also look a bit cow girl! 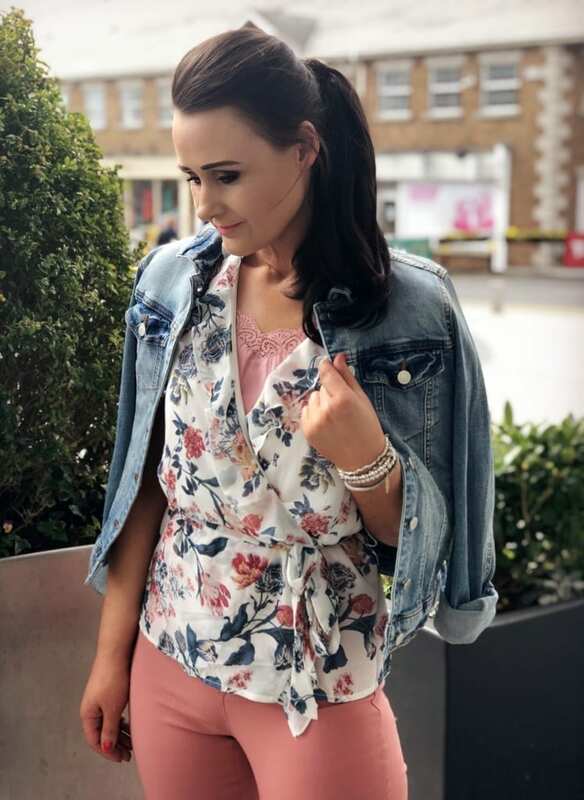 For me a Denim Jacket is the most versatile piece of clothing in my wardrobe! I have 3 in my wardrobe! A white one which is so handy in the summer for nippy evenings! A light blue traditional one with is worn to death! It’s a lovely fitted structured one with a stretch so it’s unbelievably comfortable! And I have an indigo cropped one for over dresses! I love draping this one over my shoulders for a more formal “Going Out” look. The perfect pair of jeans! Ok I know!! This is a tricky one!! We are all on the hunt for a perfect pair of jeans!! Well I think this all depends on your body shape! I find with clients, Pear and hourglass figures struggle the most with jeans! The reason being is because pear and hourglass figures have rounder bottoms, chunkier thighs but very narrow waists! So the issue is trying to get jeans that accommodate the thigh area but are snug on your little waist! I’m a pear shaped body myself so feel your pain and understand completely how difficult this is! My advice is to find a pair of jeans with a double way stretch! Meaning they will stretch from top to bottom as well side to side!! But also high waisted! Especially for hourglass and pear shaped bodies! High waisted will sit better on our narrow waists and won’t have gap on the lower back dip that most of us have. 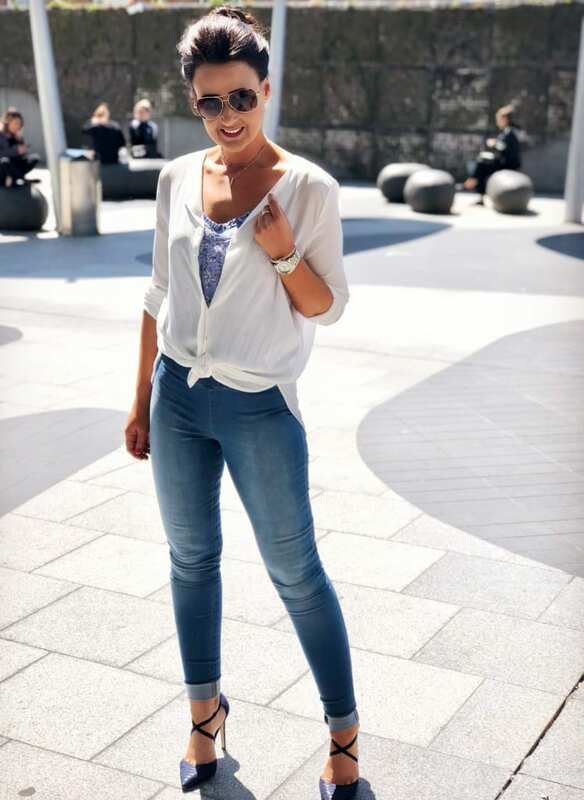 I love the Tiffossi brand double button jeans which are available online from McElhenneys.com! I also love Vila’s jeans range especially the high waisted back zip ones that I’m wearing in the picture. 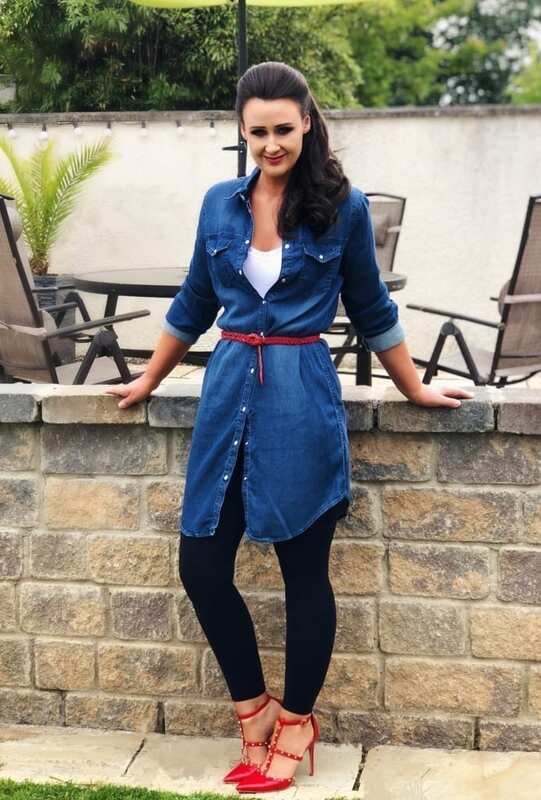 A denim dress is a fantastic little item to have in you wardrobe! It’s so versatile! Dressed up or down it’s a timeless item to own!